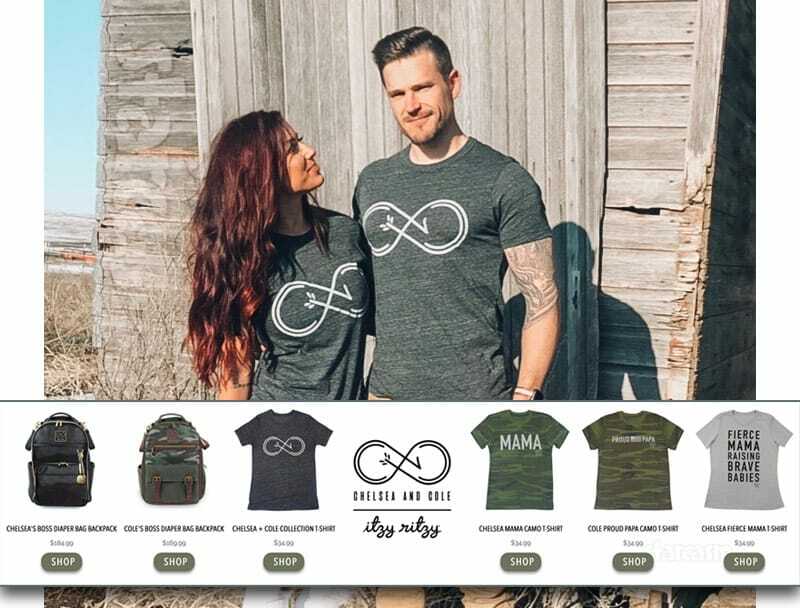 It’s a VERY exciting week for Teen Mom 2 couple Chelsea and Cole DeBoer as they launch their highly anticipated line of clothes and products in a partnership with Itzy Ritzy. The official pre-order launch is tonight, which is the same night that the collaborative process that went into the line will be featured on Teen Mom 2. WHAT IS THE CHELSEA AND COLE ITZY RITZY LINE? Itzy Ritzy is a parenting lifestyle brand, so their products are generally geared towards parents and children. 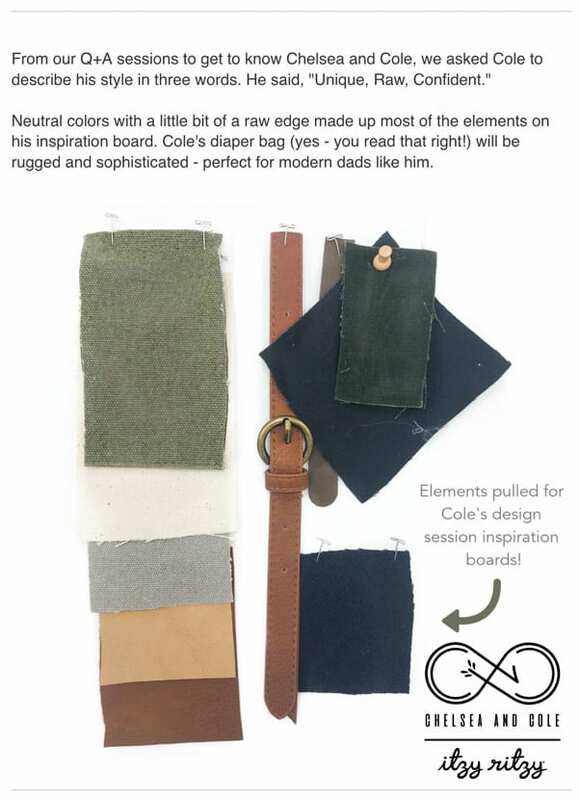 However, the site says of their collab that “anyone who is a fan of Chelsea + Cole’s laid back, edgy style will love it!” At the time of this post, the line is still in the prelaunch phase, so it is unclear exactly what kinds of products will be available in the future. 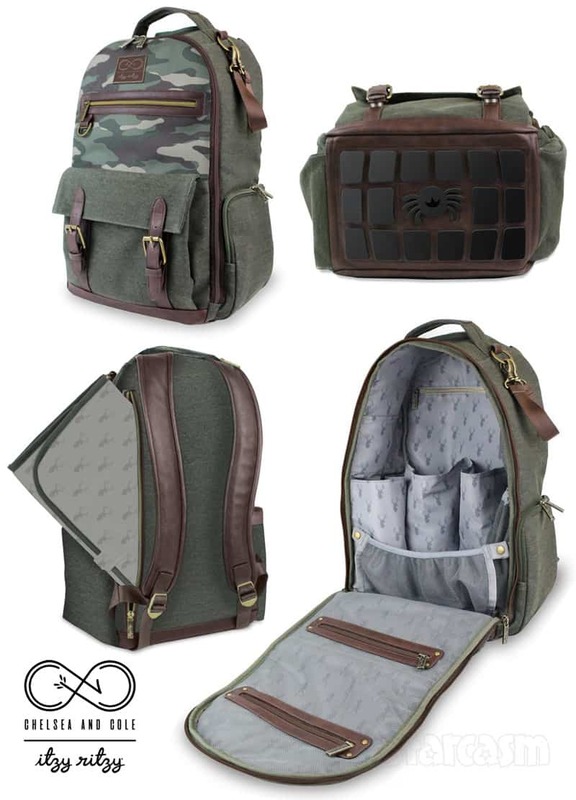 The initial launch features a diaper bag backpack inspired by Chelsea’s black leather jacket, and another that Cole helped design. There are also a number of t-shirts available, including one with the duo’s new “C+C” infinity arrow logo. HOW INVOLVED WERE CHELSEA AND COLE IN THE DESIGN PROCESS? It all started with Chelsea and Cole creating personal style Pinterest boards, answering a bunch of questions, and sharing their product ideas. From there, the Itzy Ritzy Design Team turned their inspiration into custom and unique product and pattern options that resonated back to C+C’s unique styles. Then, everyone joined forces in South Dakota for epic product design meetings where Chelsea and Cole provided feedback and made suggestions. Then our designers started sampling Chelsea + Cole for Itzy Ritzy products and had constant communication via text, phone, FaceTime, mail, etc. to make the products perfect! WHERE DO I BUY CHELSEA + COLE ITZY RITZY PRODUCTS? ARE THERE LIMITED QUANTITIES? As mentioned above, the line is still in the pre-launch stage. In order to participate in the pre-launch you must sign up for the Chelsea + Cole Crew via the Itzy Ritzy website, which essentially just means providing them with an email address and/or phone number for text messages. The pre-lanch information will be sent to you either via email or text — whichever you select as your preferred method when signing up. UPDATE – It appears as though the collection is now live for everyone! Just clink the link to check it out!